Owning my own business was never my intention when I decided to go to school to get my real estate license. I started working at Southern Foods in Greensboro when I was 18 years old. After working there for 20 years, I decided I wanted to try something new. I put a lot of thought and prayer into my decision to go to real estate school. I took the classes I needed and then the test. When I got it back and saw that I had passed, I was so excited! I had no plan of what I was going to do with my real estate license but I knew I had to have one if I was going to ever pursue a career in real estate. God had a plan though. I was contacted by a local woman that owned a property management company. She asked me if I would consider purchasing her business so that she could retire. She told me I would have to come up with my own business name. I was a single mom with of a 12- and 15-year-old. I prayed about it and knew it was what God wanted me to do, so I took a leap of faith and I am so glad I did! I love people! I love helping people get to the next level in their life. We are all in different seasons of life. Where to live is one of the biggest decisions that most people make. It is important that you feel at home wherever you are. Real estate is not just about the homes and land to me, it is about people’s lives. I am grateful that God has given me the opportunity to make a difference. He uses A New Dawn Realty to help others. I love life! I love people! I love my family! I love where I live! I love God first! I have two awesome children. 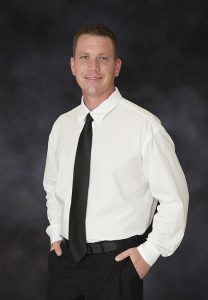 My son, Phillip, is my business partner at A New Dawn Realty. My daughter, Heather, is a nurse. We are great friends. My son married a wonderful girl, Casey. They have two children, Savanna and Carter. My grandchildren are the loves of my life. I live on a mini-farm with two horses, four goats, four cats, and my black Lab, Sallie Mae. I love to work outside with the flowers and dig in the dirt. I love to mow the lawn. I love doing anything that is outside. It is hard for me to stay inside on pretty days. In my next life, I would like to be a farmhand at my own home. I enjoy when my grandchildren spend the night with me. They call me Maw Maw. My family lives near me, which is comforting. I think they like living close to me too, except when Sallie Mae steals their dog and cat bowls. I think dusting is a sin. I only clean as needed. I love to have my windows cleaned. I like antiques and old homes. I love my church and my church family at Ellisboro Baptist Church. I have been on three mission trips and have been so blessed every time. I teach Sunday school to 3rd and 4th graders. I am surrounded and blessed with many friends. I love to have fun! My mission for A New Dawn Realty is to help people find their home. I grew up in Stokesdale on a mini farm. I learned at a very early age the importance of hard work and dedication. I enjoyed playing many sports during my adolescent years and still enjoy that from time to time. Like many high school graduates, I was trying to decide what I wanted to do with my life. After pondering this question, my mother asked me if I wanted to dive into an eventful real estate career. She had just recently created a new company, A New Dawn Realty. I jumped in head-first. I received my North Carolina real estate license in March of 2003, and worked as her licensed assistant for approximately four years. In 2007, we made a decision that I needed to be an independent broker under the firm’s umbrella. Armed with all the knowledge and experience I gained during those previous four years, I flourished in my new adventure. Since that time, I have had the opportunity to complete more than 300 real estate transactions. I have learned valuable skill sets and tools from my experiences in guiding so many clients to the home of their dreams. I am very blessed to have a wonderful family. My wife, Casey, and I met because of our career choices. It was love at first sight for me! 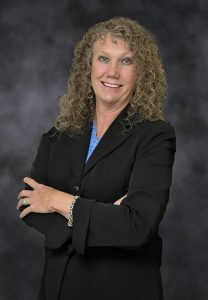 She is also a licensed real estate agent, but currently spends the majority of her time with our two children, Savannah and Carter. They are our life and mean the world to us! I am also business partners with my mother, Dawn, who is the broker in charge of our firm. My mother-in-law is one of our licensed transaction coordinators. We are truly a family-operating team. Being Outside in Nature – fishing, hiking, etc. Carolina Panthers and Tar Heels!